Click on the key that has the letter "T," next to the telephone. In the blue text box that appears, you can either copy and paste your paper or type it. NOTE: You can only type up to 600 letters in the box. 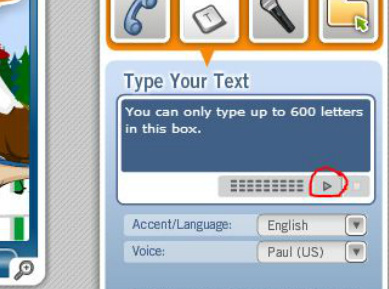 Once you have entered your text, make sure your computer's volume is turned up and press the play button.